Henry Urrutia was going 0 for 3 against the Mets Wednesday night until hitting his first big league homerun in the bottom of the ninth to give the Orioles a 5-4 win. Urrutia has four hits in 19 at bats this season and is batting .211. He has one homerun and seven RBIs on the year. 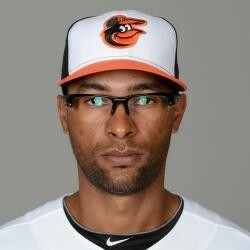 It is extremely early to determine if Urrutia has any fantasy value but it wouldn't be a poor idea to keep tabs on him. Urrutia has hit .260 in 77 career plate appearances.